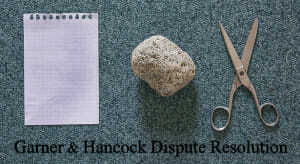 Disputes can quickly escalate (without assistance) into damaging and protracted court action which can take years to resolve. All business are different and whether you are a sole trader, a partnership or a company we will be able to help. At Garner & Hancock we strongly advocate to our business clients that they should involve us at an early stage before a dispute arises. There are many problems which can occur in relation to ownership of the business, management responsibilities, funding problems, employee problems and family business disputes. We have an experienced team to guide you through the complications (legal and otherwise) of running your business. If the problems cannot be resolved amicably we are also very experienced in resolving issues though Arbitration, collaborative law, early dispute evaluation mediation and at the last resort Litigation. The nature of business dispute litigation can be complex. However, Garner & Hancock will be able to guide you through the whole process at a reasonable cost and with minimum disruption to the business. Speak to Daniel Flynn, the Solicitor Advocate at Garner & Hancock. Daniel was trained as a barrister and is now a qualified Solicitor Advocate. See below our various guides. Daniel Flynn joined Garner & Hancock as a litigation paralegal in January 2013 having completed his Bar exams in 2012.